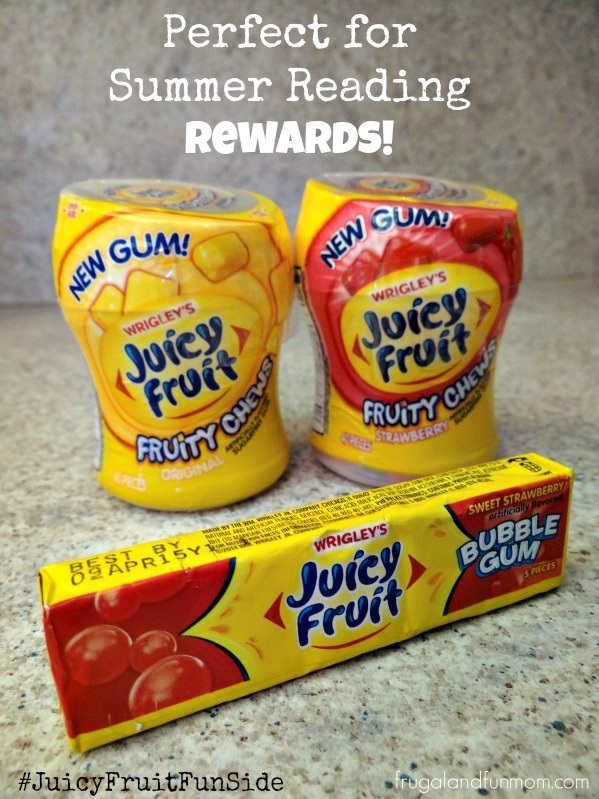 Showing Our #JuicyFruitFunSide Through Summer Reading Rewards! When I was a little girl one of my favorite things to do was to grab a piece of Juicy Fruit gum at my Grandparent’s house. My grandmother had a certain drawer where it was located and only she had that special treat. 30 years later it may be in a new location, but she still has a drawer just like that. My kids have the same affection for that gum, and frankly it is a big deal for them to grab a slice. My 2 older children are at an age where they have a required summer reading list for school. They have done a great job filling in their sheet over this year’s vacation, and were so close to being finished. I told them I would reward them when they read the last few by taking them up to store to buy a new book and to also grab a pack of Juicy Fruit. I knew the gum would be a real motivator. Motivated is exactly how they got, and not only did they read the amount I suggested, but they finished all their books by the end of the week. They then proceeded to ask a couple times when we would be going up to get the gum. Saturday we took a ride up to Walmart, and located the Juicy Fruit at the front of the store. In addition, we found a Demonstration showcasing new gum varieties including Bubble Gum and Fruity Chews. We got to sample delicious Strawberry Fruity Chews and the presenter was also handing out coupons. Of course the kids wanted to try a little bit of everything, so they each grabbed a 40 count bottle of Juicy Fruit Strawberry Flavor Fruity Chews and a 5 pack of Bubble Gum. I being the sentimental one, grabbed a package of the Original Flavor Fruity Chews. After picking out the gum, we then headed over to the book section to explore the children’s titles. This selection took a little longer. 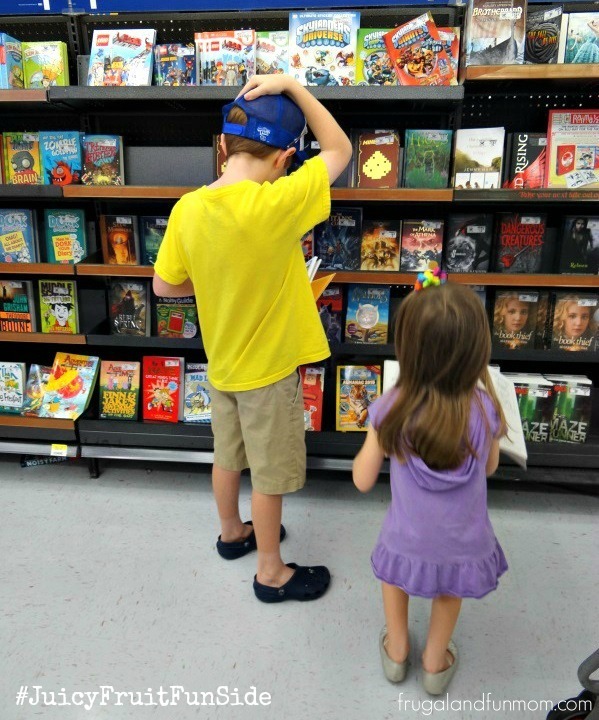 The kids combed the isles for about 45 minutes making sure they picked out the “best book of all”. Of course my daughter narrowed it down to a princess coloring book, and my son (who read all of the books in the series during the school year) found a special “Diary of a Wimpy Kid” that was a fill in the blank. They now had their special books and gum. What type of reward system do you have set up for summer reading? Do you offer a special treat or do you do something else? To learn more about Juicy Fruit products visit Wrigley.com. You can also visit Juicy Fruit on Facebook at facebook.com/juicyfruit. Find New Juicy Fruit Bubble Gum and Fruity Chews in stores now, and look for upcoming demonstrations in Walmart stores nationwide. I think it is great that my kids enjoy reading and have the same appreciation for Juicy Fruit. I LOVE that we could find our #JuicyFruitFunSide together. Both of my boys really enjoy reading, too, which makes me happy. I didn't like reading when I was a kid,so I love that they don't take after me when it comes to that. I was and am an avid reader since a very young age. No bribes needed to get me to read. I usually read the required number of books and then some. I do remember juicy fruit gum--YUM. I have not had gum in years!! I now want a pack. Hope your kids both enjoy the best book of all that they picked out! My boys enjoy reading which I'm really happy about. I hope it continues as they get older. I love that this activity is getting the kids reading. It's so important to keep up their reading and writing stamina during the summer months. I love that this activity is getting the kids reading. It’s very important to keep the children reading and writing during the summer months. I remember loving Juicy Fruit when I was growing up. Great idea as a reward for reading! Good incentive, my kids would totally go for that! I also haven't tried this kind, I need to!! 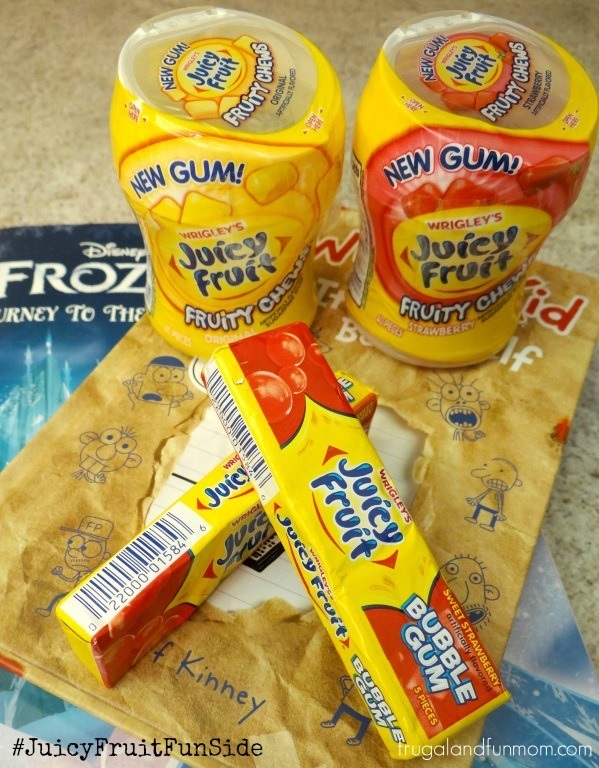 Juicy fruit used to be my got to gum when I was young as we'd use the wrappers to make rugs! This is awesome! I love that your kids are so engaged and excited about it. Funny...my grandma had a special drawer with this too!!! I recently tried the new Juicy Fruit chews and I am hooked! Juicy Fruit brings back so many memories. It is so great your kids enjoy reading! That is a great incentive too! Juicy Fruit is the best tasting gum ever made. I'd read a whole book for that reward. I chew that stuff everyday. My timing here is perfect! My six year old has not yet tried gum but has been asking for it. I don't know why I've been hesitant? 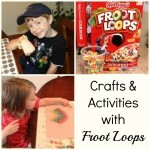 It looks like your kiddos are having a ball and a little reward is a fun idea. I loved Juicy Fruit gum when I was little. I had no idea they made these other product too! For about a year I lived near the Juicy Fruit factory and whenever I would drive by you could smell it in the air! For our summer reading, we read together which to my kids seems to be a reward as they love the attention and the help getting through larger chapter books in preparation for school. I also like to have some fun snack on hand while we are reading. 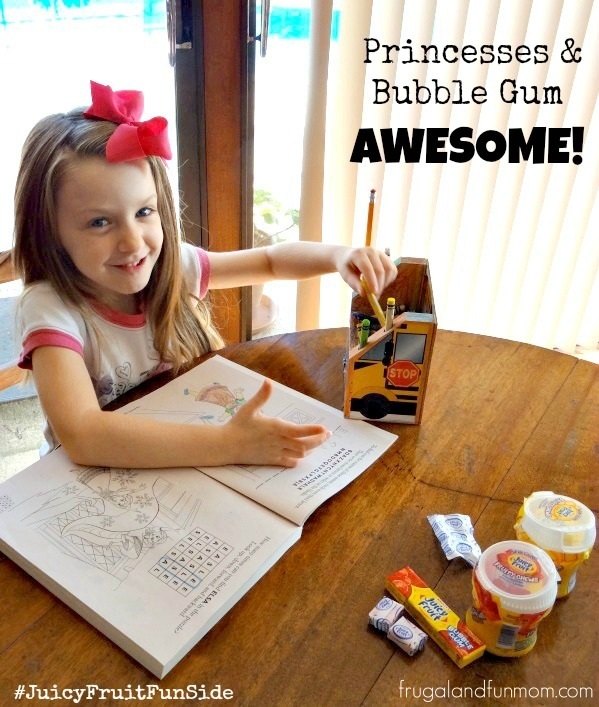 Juicy Fruit gum is a perfect idea! I love your story about your grandmother! That's really sweet. My grandmother always had peppermints and I similarly loved that. 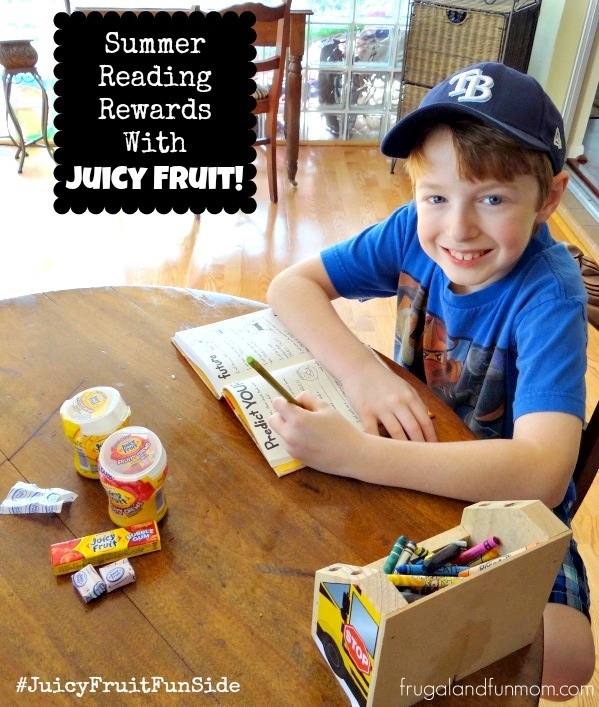 I like the idea of using Juicy Fruit as a reward for reading. My son would definitely be more motivated and excited. What a lovely story about your grandmother. Plus i haven't had juicy fruit gum in forever off to buy some. I love juicy fruit, but haven't had it in ages. Love the rewards program! Ive been seeing this around. The new flavors look awesome! My daughter enjoyed reading and never needed a reward system for reading. My son used to earn candy after reading a certain number of pages! Fun story! I didn't realize Juicy Fruit was still around. If my kids read 50 books, they get to go and pick out a toy! yummy! I didn't know Juicy Fruit has other flavors now, I so need to try them! We haven't come up with any rewards needed for reading, yet... but I LOVE new gum for myself! The new Juicy Fruit looks so good! I haven't had Juicy Fruit in a while. I've gotta try the strawberry! The strawberry fruity chews sound really good. 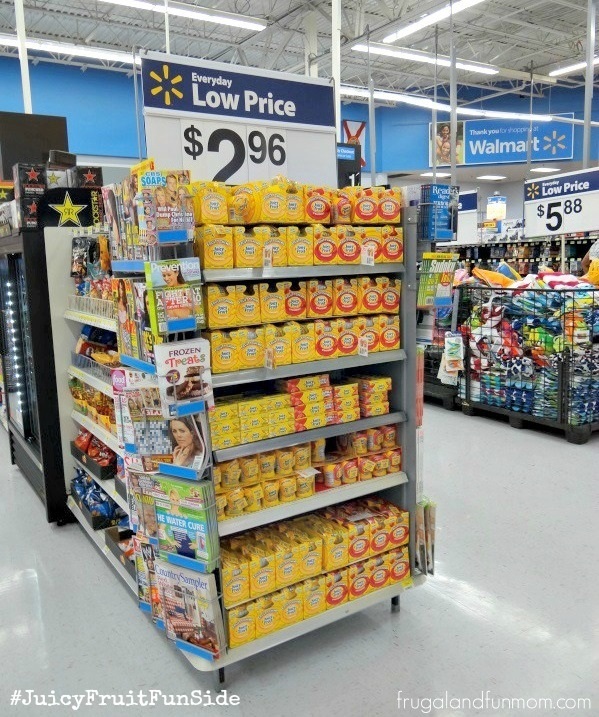 I am going to look for these the next time I am at Walmart. I don't chew gum often, partially because there are so many flavors I don't want to be in my gum. I love strawberries, I'd try that one. What a great reward for summer reading!!! I have not thought of Juicy Fruit gum in a couple years, I remember it from when I was younger!!! I have been a fan of Juicy Fruit when I was a kid. I like the idea of summer reading rewards to encourage more reading. 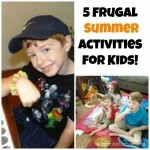 What a great way to keep kiddos engaged and entertained all summer. Rewards are always nice! Great incentives for the kids! I used to love the summer reading program for Pizza Hut when I was little LOL But I probably would have liked this one even better! If that motivates your child to read more than go for it!! Cute kiddo!! I love that it's an incentive, Juicy Fruit is tasty! I have to try the fruit kind.